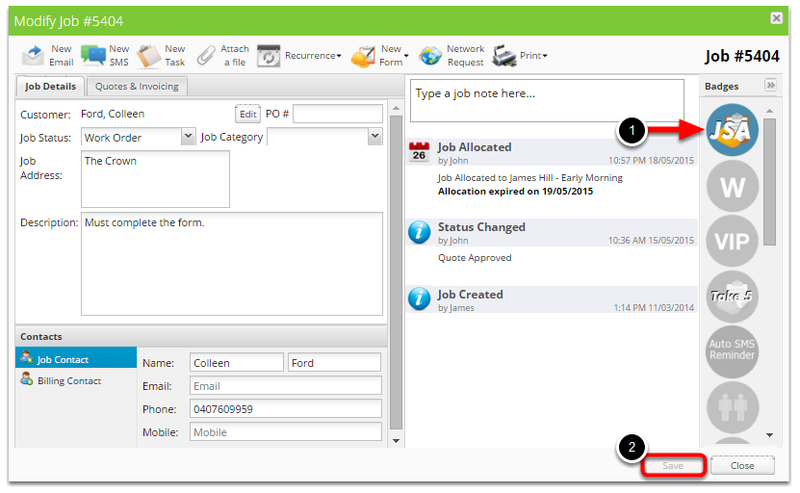 This lesson you will learn how to activate the form badge that will appear within the job from the app. Note: For this lesson we will use the Job Safety Analysis (JSA) form. 1. 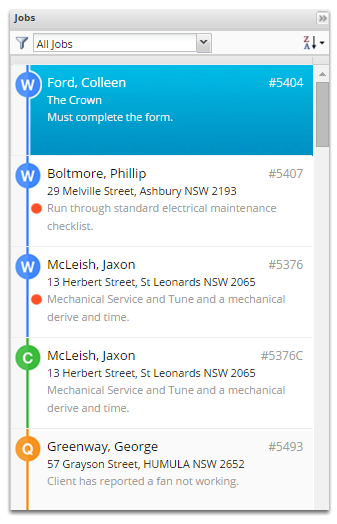 Click on the form's badge name ( In this example it's JSA ) to activate it. And it will turn into color blue once activated. 2. Click Save and that's it! 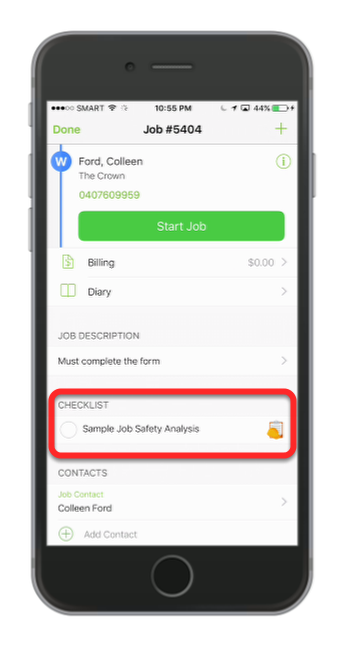 Tip: Now, if you go to the app and open the job with that form's badge activated it will appear as checklist. This is a good way to ensure staff are aware that there is a form to be filled in on this job.